Bejeweledquilts by barb: GOT MY SEWING ROOM BACK!!!! OHHHHHH YEAH!!! Glad you got your sewing room back. I know you'll miss your son, but be thankful he's only an short drive away. What classes are you taking? Yeah, I remember those "Your the best mom" comments....usually followed by "can I have...." LOL. I need to take one of thoses classes some day. I just have to block some time, right? right? OOoh, so tempting! Have fun in your room! You're also the greatest seamstress! Enjoy your sewing room. If he is only 1-1/2 hours away he will be home every time the cookie jar runs dry or there are no more socks in his drawer. Congrats on getting your room back. NOOOOOOOOO classes for me. Still waiting for someone to move out so I can have a bigger space to sew. 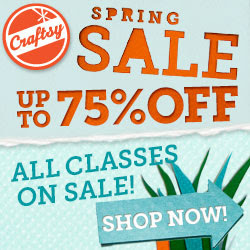 I did check out the classes at craftsy and I am right behind you, I being to collect classes like I do fabric and have not had time to take any of them yet. Amazing how a quilter/sewer/crafter finds space so important.... one does miss having the big children around... but we find a positive to it every time! !